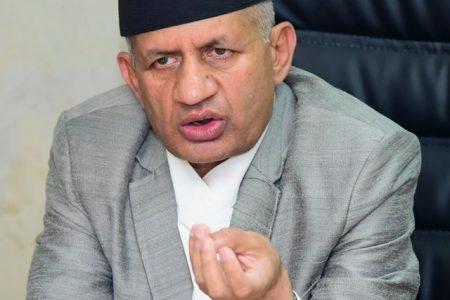 By GP Acharya (KATHMANDU, 12 April 2019) – The Belt and Road Initiative (BRI) mega project has been gaining enthusiastic global participation because of its mutually exclusive and win-win nature. By now, Italy has become the first G7 country to endorse China’s BRI project, and it has been 124th nation to sign up for this investment strategy. Portugal has joined the BRI, as a first Western European country, in September, 2018 where as UK has become the first G7 country to join the Asian Infrastructure Investment Bank (AIIB) that has allocated $100 billion for BRI project. BRI has now invested more than $1 trillion and linked to nearly two-thirds of the global population. China has anticipated BRI as a win-win project and aimed for mutual growth with its partnered countries. BRI is not only an ambitious financial investment of China for economic superiority; it is also an investment of its legacy and stature. BRI is more of promoting economic, diplomatic, developmental, commercial, cultural and strategic interests of China from South Asia to Central Asia to Middle East to the Europe. China has projected BRI as an alternative idea to legitimize its strength and rising clout by making a soft balance and decisive strategic maneuvering to ensure security and promote its power up to the Europe. China’s growing involvement in Central Asia is a long term phenomenon and is a turning point in Central Asia’s Post-Soviet history and economic development. BRI reflects China’s interests of economic supremacy and intends to reshape “soft infrastructure”. Relatively, BRI would also be equally beneficial to the smaller countries if they could act as a truss bridge and integrate their economy to the BRI prospects. Economic integration through regional organizations like SAARC, BCIM, BIMSTEC, ASEAN and Shanghai Cooperation Organization (SCO) with BRI could bring India, China and Pakistan under one umbrella that could help create broader integration in economy and security. China and India have both strengthened trade ties realizing the common ground of emerging economies. After all, India and China are already together in numerous organizations- SCO, BRICS, AIIB and BCIM among others. Sooner than later India can find the best possible ways to benefit from BRI and graciously invite China in SAARC. This will enormously strengthen regionalization. Given that the member states of organizations- SCO, SAARC, BIMSTEC, BBIN and BCIM among others do not trade as much with each other as they do with rest of the world. Hence, there would be greater trade diversification through regionalization. BRI could be an opportunity as well as platform for India to lend a hand with China for economic integration, which may help bring peace and security in the region including the security of India. Indian inclusion in BRI would be an added advantage to India in the long run. India itself faces several problems- border disputes, security concern, terrorism, communalism, religious problem, ethnicity, separatist demands, growing populations, rising unemployment, rural poverty and lack of drinking water among others. Furthermore, India has several issues in border and beyond with its all three immediate neighbors- Nepal, China and Pakistan. The problem is the deficit of the confidence or the hegemonic behavior or the fear psychoses of the sovereignty loss or the aim of maintaining supremacy one over another. The history of South Asian politics has shown that the main barrier of economic and security integration is the superior buoyancy of the hegemonic politics. The refusal by India to be a part of BRI may be regret as much as it is regrettable now by refusing Nepal’s ‘Zone of Peace’ Proposal back in 1975. The Indian aggression to sign the Peace and Friendship treaty of 1950 in the past, and now the reluctance to accept Eminent Persons Group (EPG) report may leave profound space to be cynic once again and evoke why India refused to support Nepal’s Zone of Peace proposal even when that was signed by more than 120 countries around the Globe. India, on one hand, utters for regional integration and lauds for connectivity, security and economic cooperation, and on the other hand neglects small and regional powers in economic union and security integration. This sounds that the economic cooperation is mere a ritual phenomenon in South Asia and within its regional organizations. The long term success and sustainability of BRI project largely depends upon the coordination, collaboration and connection among immediate neighbors as well as the other regional powers followed by accountability with all the BRI stakeholders. Nepal’s geostrategic position is more important to China and India than Nepal itself. Nepal stands at a very important location in entire Asia. Nepal’s security or lack thereof, may affect to the security of India and China because of Nepal’s geo-proximity with both the countries. Since, China is aiming for economic superiority and India is endlessly worrying of security, both of their concerns can be addressed through the process of economic integration and regional cohesion. Such integration would benefit more to India and China in the long run than the smaller nations in the region. And, BRI project could be a platform of economic integration for Nepal, India and China along with other regional members. The concept of economic cooperation is to be a practice of economic dynamics that has to lead to peace, connectivity, security and accountability in the region and beyond through economic integration. The process of economic integration in South Asia through Broad Regional Integration by linking with BRI could create a platform to interact peacefully and cultivate sustainable peace in the region. For the Broad Regional Integration, inter-state conflict, gap of trust, diplomatic crisis and suspicion to each other need to be watered down now. And, the interest of dominating economic, political and security scenario needs to leave aside. If India and China want to be global leader in economy and politics, they have to march together ahead considering the economic well-being and sovereignty of their neighbors. Both India and China have to be successful in projecting themselves as a benign economic power to win the hearts of their immediate neighbors and project an honest tone to respect the minimum interests of their neighbors, first. Yet, China needs to be more accountable with all the BRI stakeholders including 124 BRI signing countries. 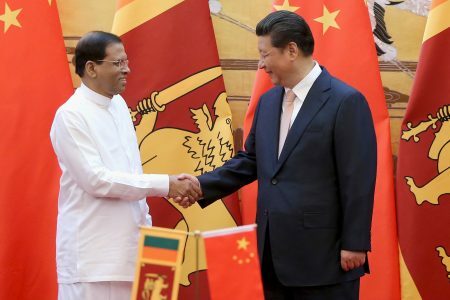 While, some of the western critics have conjectured that whether China has envisioned the lenses of new colonialism under BRI and aiming for a political march from South Asia to Europe. They have blamed that China has been meticulously promoting its foreign policy under BRI through an ambitious soft power fixture strategy. Nonetheless, there is no option of economic integration in Asia whether the states desire for politically harmonious continent by enhancing BRIwithinBroad Regional Integrationandstrengthening regional cohesiveness. With an idea of economic integration, both China and India can become significant global players in the economy and politics. After all, Economic integration through BRI would lead to peace and prosperity if the ideological differences are left aside.